As the title says, the quilt above is to do with Maths! Each colour represents a number between 1 – 10 (Black = 1, Light Blue = 2, Red = 3 etc…). 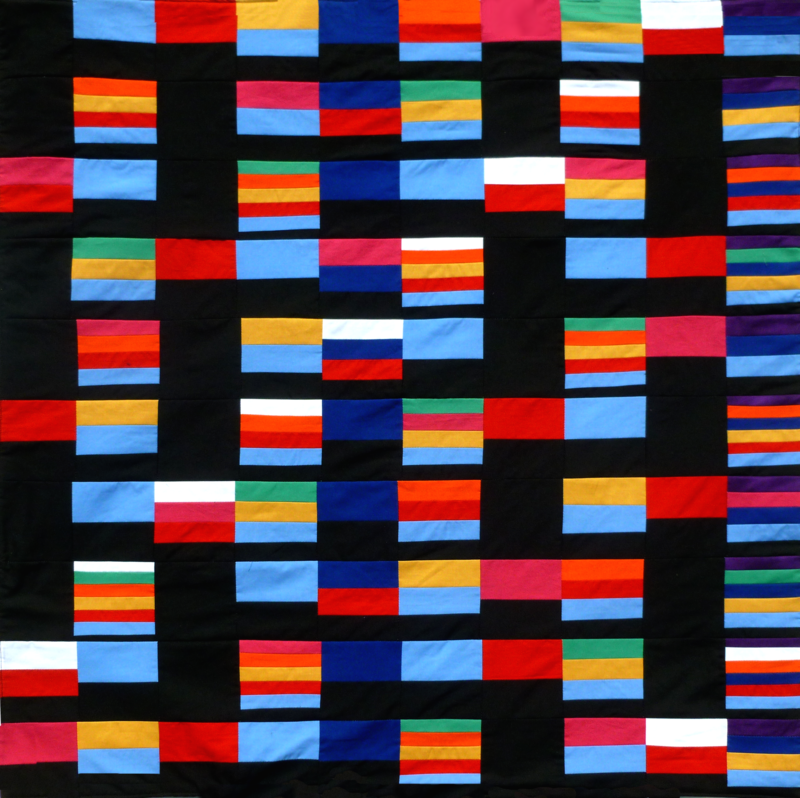 There are 100 blocks in the quilt, each representing a number from 1 – 100. The strips in each block show which numbers, from 1 – 10, divide into the corresponding block number. Confused yet? OK, an example! The block in the top right corner represents the number 10. The numbers that divide into this are, from bottom to top, 1 (Black), 2 (Light Blue), 5 (Dark Blue) and 10 (Purple)! Looks quite intricate when put into colours like this, doesn’t it?